Islamabad: The National Highway Authority (NHA) has removed the hurdles blocking the construction of new Islamabad International Airport Link Road, reports a news source. According to details, an NHA spokesperson told the reporters that all of the land required for the construction of the link road has been acquired, and construction work has already been started. Previously, the construction of this road was facing difficulties during the land acquisition process. Due to these delays, the authority concerned feared a rise in the project’s construction cost. This link road is believed to be the shortest route to the parking area of the under-construction New Islamabad International Airport. Reportedly, only 20% of the work has been completed since construction was started in January 2015. 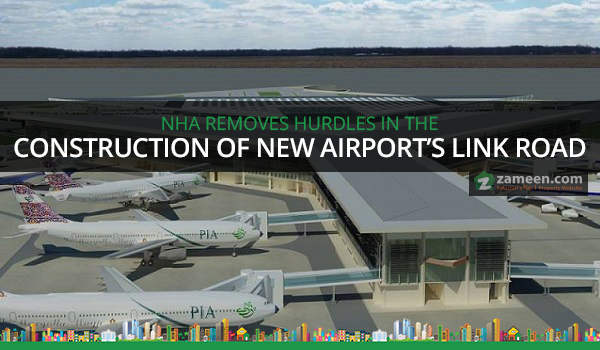 NHA, however, claims that the remaining work will be completed by December 2016, while the new airport is scheduled to be made operational by July 2017.